As a College we are always analysing data, celebrating the strengths of these results and considering the potential weaknesses. 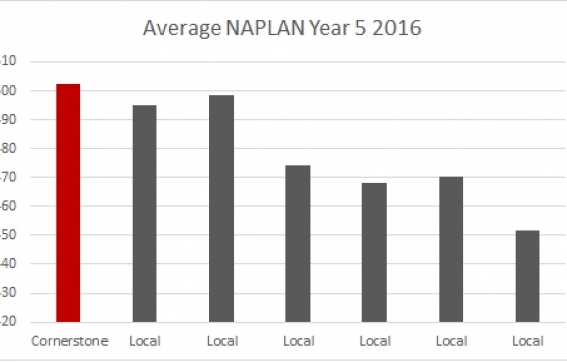 A snapshot from the NAPLAN results of 2016 for Cornerstone show that we are one of the best performing schools in the region. 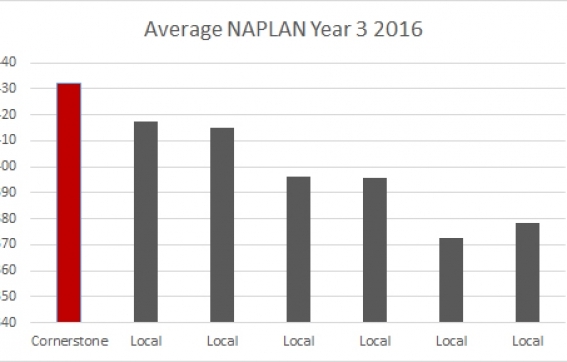 Infact, our averaged results out perform every other local school. The first year 12 Class graduated from Cornerstone in 2008 and since then a number of our students have done exceptionally well scoring above 90 on their ATAR. 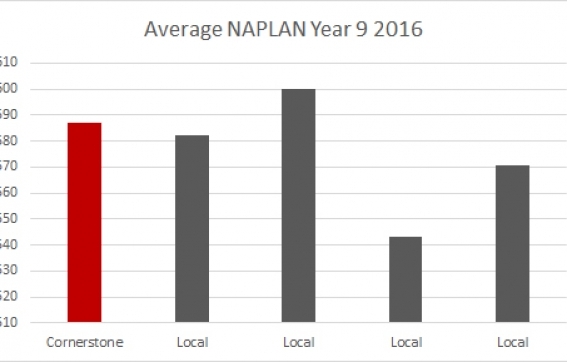 In 2014 we had the top performing ATAR student in the region scoring 98.25 on her ATAR, and in 2015, the two highest ATAR students in the region, achieving 98.7 and 98.15 respectively were also from Cornerstone. In addition, in 2014 and 2015 we had students who obtained Course Exhibitions as being the highest achieving students in a subject. Cornerstone is the only regional school to have acquired such results in Western Australia. This has been recognised in media and reports. In 2015, the median ATAR score for students across Western Australia was 79.1. Cornerstone outperformed this with our graduating class having a median ATAR of 87.1. A fantastic result. In 2016, our median ATAR result of 82.6 ranks us above most schools in our region and is well above state averages. This result was not published in the papers because we have a small Year 12 class, but as one of only two Geographe schools with 100% graduation, it shows that we have been able to work individually with all our students to help them achieve their goals. Cornerstone has also been named as course leaders in Human Biology and Outdoor Education within Western Australia.